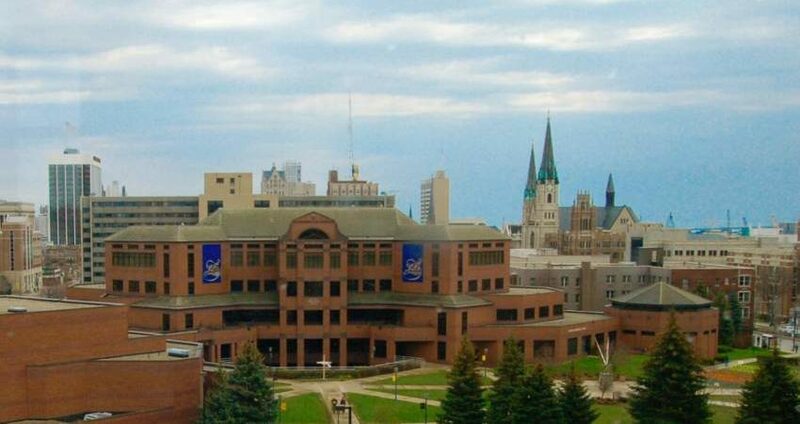 While Catholic students fight to preserve moral values on campus, Marquette University -- a Catholic institution in Wisconsin -- plans to host an event that destroys moral values: "PRIDE PROM 2018." Announced as a "first," the pro-homosexual prom is sponsored by the LGBT+ Resource Center on campus and is open to people of "all ages." According to the university's website, the event will take place in Marquette's AMU Ballrooms on April 14, 2018. What is worse, the "Pride Prom" is scheduled in the same building where Our Lord in the Holy Eucharist is present. To avert this sacrilege against the Most Blessed Sacrament, please join the peaceful protest. And share this page with friends. Please keep your communications polite yet firm. I prayerfully urge you to cancel "PRIDE PROM 2018" at Marquette University, sponsored by the LGBT+ Resource Center on April 14, 2018. Moreover, "PRIDE PROM" is scheduled in Alumni Memorial Union (AMU), the same building that houses the Chapel of the Holy Family, where Our Lord in Holy Eucharist is present. The Catechism of the Catholic Church is clear: Homosexual vice is “intrinsically disordered” and “contrary to natural law” (2357). Therefore, no Catholic campus should sponsor a dance that legitimizes unnatural behavior which deeply offends God.